Home / Latest TBV News / Australian Thoroughbred Wellbeing Survey needs your input! Australian Thoroughbred Wellbeing Survey needs your input! 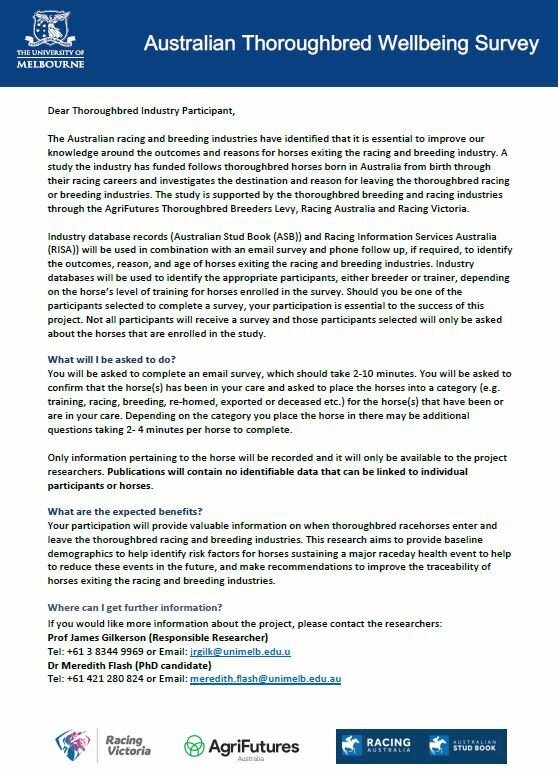 The University of Melbourne is conducting the largest survey of racing and breeding participants in Australia over the next 4- 6 weeks. 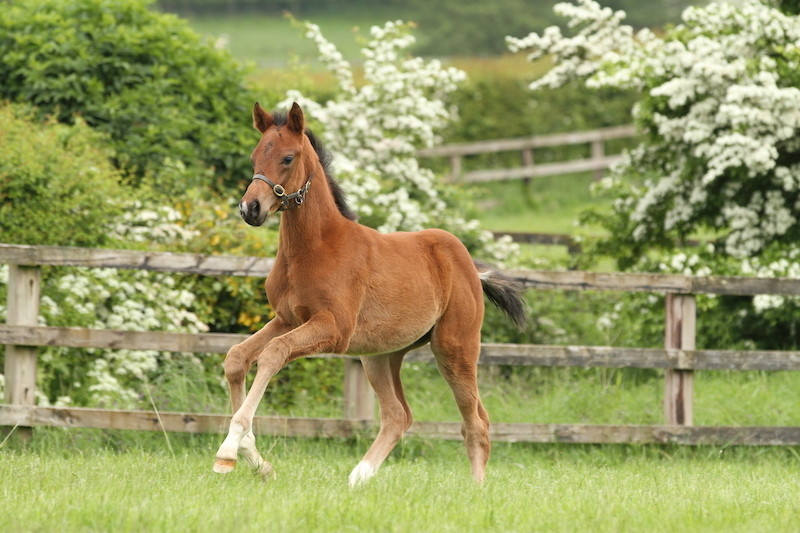 The Australian Thoroughbred Wellbeing Study follows thoroughbred horses from birth through their racing careers and investigates the outcomes and reasons for them leaving the thoroughbred racing and breeding industries. Industry participation is essential to this project, which aims to provide baseline information to help identify risk factors and make recommendations for improving traceability of horses exiting the industry. Only information pertaining to the horse will be recorded and it will only be available to the project researchers. Publications will contain no identifiable data that can be linked to individual participants or horses. The study is supported by the thoroughbred breeding and racing industries through the AgriFutures Thoroughbred Breeders Levy, Racing Australia and Racing Victoria.